The Animated Woman: My home. Canada as it spreads across the masses remains the one you love too.... I am with you! Harper will not ever be able to strip you of it! But we can strip him out one day. Thanks for sharing. Beautiful! I feel the US of A is falling apart too. The FUIGMs (FU I got mine) are buying the election and lieing and dividing the country. I think you mean re-entering. Like you, I love my home. 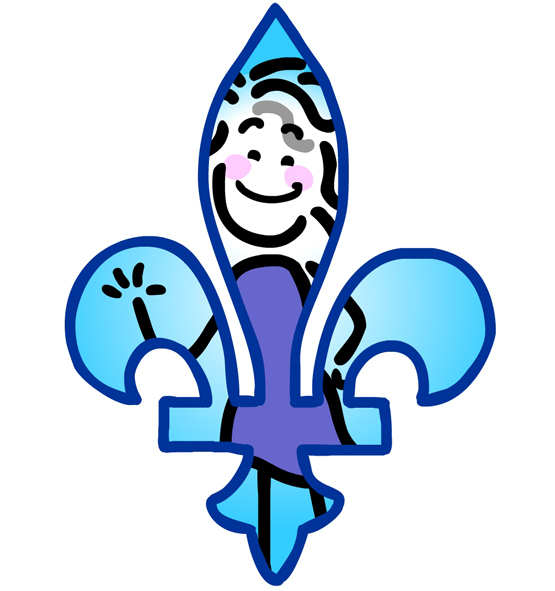 I am a Montrealer, a Quebecer and a Canadian and damn proud of all three. I can't imagine living anywhere else even if my mother tongue isn't French. It could just as easily be my picture in that fleur-de-lys. Hopefully Mme. Marois' minority government won't be able to cause too much trouble and, being minority, we may even get another chance to vote her out sooner rather than later if she does stir the pot too much. I think democracy may actually work best with a minority government. The people are more vigilant about what they want, and there is much less chance of an abuse of power. Learning another language is fun. It's always interesting to learn about concepts that we can't express in English! I was born and brought up in Montreal. I am an anglophone who speaks both languages. I left because the laws that outlaw the English language made it difficult for me to work, shop and enjoy my "home" town without conflict. I will not live where I am not welcome or wanted, there are many places in the world that do welcome me. I myself have never encountered discrimination here, but I know a few people who have. I'm sorry this happened to you in your hometown, in my hometown too. I didn't know you lived in Canada. Some of my very favorite people are Canadians! Can't wait to meet you at the Non-Conference next month! I visited Montreal last year and thought it was lovely. I didn't have any problems with not being fluent in French.